The lotus is a unique flower. Its petals blossom one by one but it will only grow in mud. For this, it is a prominent symbol in yoga and buddhism and a constant reminder that we can flourish from whatever life presents, no matter the circumstances. The photo is me in a headstand at Madrid's Parque del Oeste. My friend Danielle from Among the Wildflowers and I finished a casual Sunday with some yoga playtime at sunset. 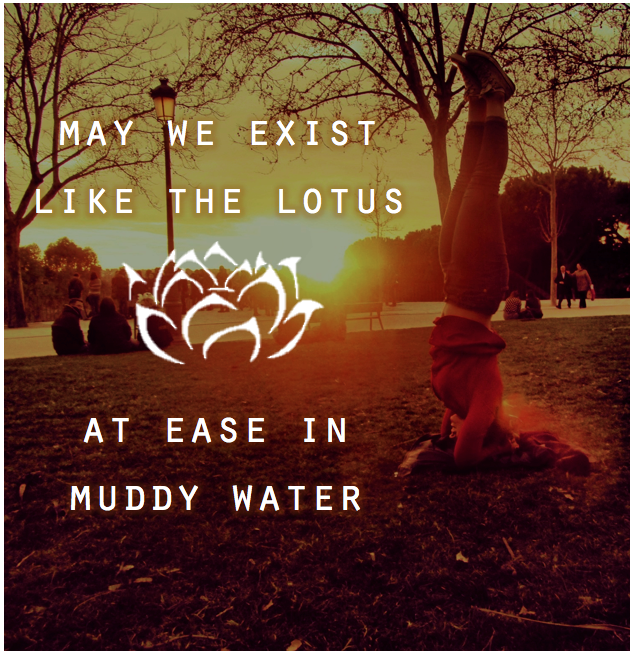 This picture and quote are actually an introduction to my next post about last week's yoga adventures. Check back in soon!